Machine learning and artificial intelligence have huge potential value for helping museums build better insight and develop new kinds of financial sustainability. 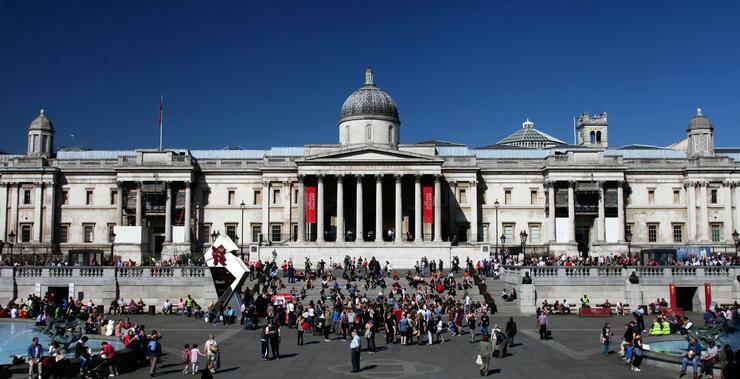 The National Gallery, London is working with Kiwi firm Dexibit to use predictive analytics in planning for its exhibits. “The National Gallery has put big data and analytics at the core of our digital strategy,” says Chris Michaels, digital director, The National Gallery. “We are delighted to be working with Dexibit to explore the potential of predictive analytics for better understanding on how we can serve our audiences. “Machine learning and artificial intelligence have huge potential value for helping museums build better insight and develop new kinds of financial sustainability. “We believe these new models can help us create better value for our visitors, and that the learnings we generate can help not only us but the wider sector,” he states. The National Gallery, in London’s Trafalgar Square, houses one of the greatest collections of paintings in the world, and has more than six million visitors a year. “The National Gallery’s digital vision leads the way for the cultural sector – as museum analytics transition from retrospectively reporting the institutions’ own history, to using artificial intelligence in predicting our cultural future,” says Angie Judge, CEO of Dexibit. 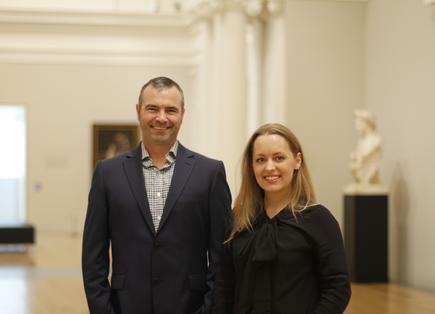 Dexibit chief operations officer Justin Kearney and CEO Angie Judge at the Auckland Art Gallery. Museum analytics is transitioning from retrospectively reporting the institutions’ own history, to using AI in predicting our cultural future. Judge explains one of the top challenges for museums is the ability to accurately predict visitorship both to the museum, and to temporary exhibitions. Working with Dexibit, she says the Gallery will use machine learning to explore how to move beyond simply analysing past visitor experiences, to employing predictive analytics in forecasting future attendance and visitor engagement. She says the work with the National Gallery represents a whole new field of predictive analytics for museums. As an example, Dexibit can provide the predictive scenario forecast to compare multiple exhibition options. “It will help the curator work out which exhibition is the best fit for the museum,” explains Judge. Once they choose an exhibition, they will be able to look at different options. If they want to go with an option, the analytics will help them predict how the exhibition will come about, she says. She says this will help the museum decide the budget for marketing, the ticket price and for how long they should run the exhibition. For museums,“This will really be a very powerful tool."